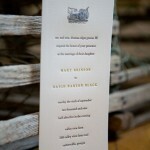 this bride and groom were married in rural georgia on the grounds of a gorgeous antebellum mansion. 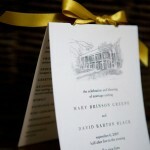 a sketch of the historic home was featured on the #10 size letterpress invitation and the program. 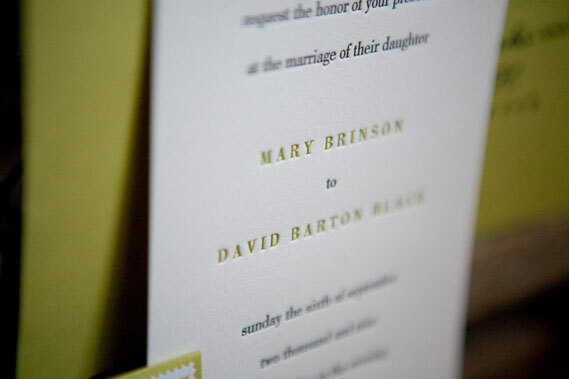 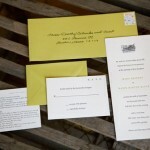 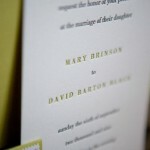 the chartreuse, ivory and deep grey on the invitation was perfect for their outdoor september wedding.